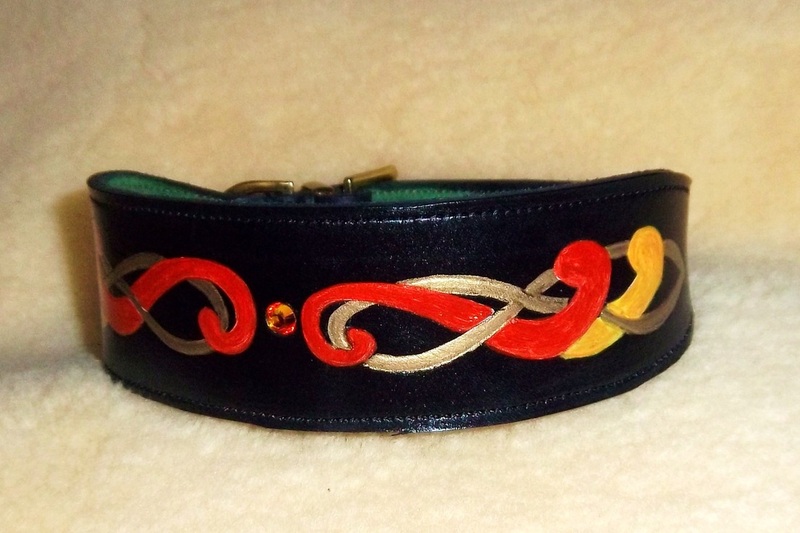 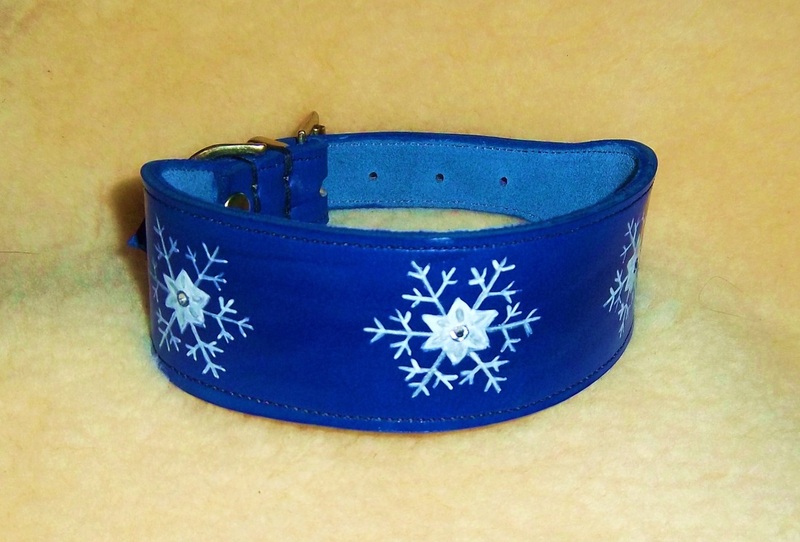 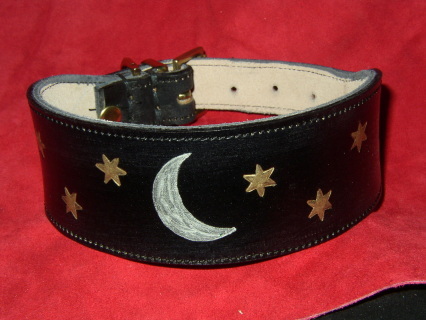 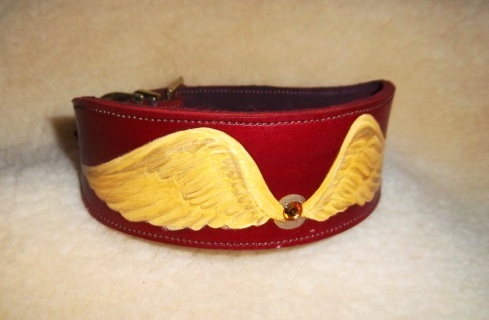 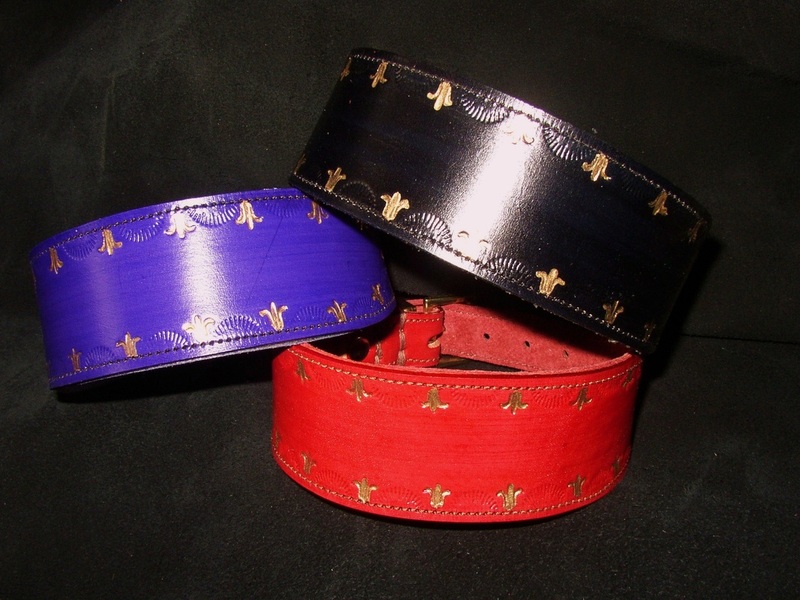 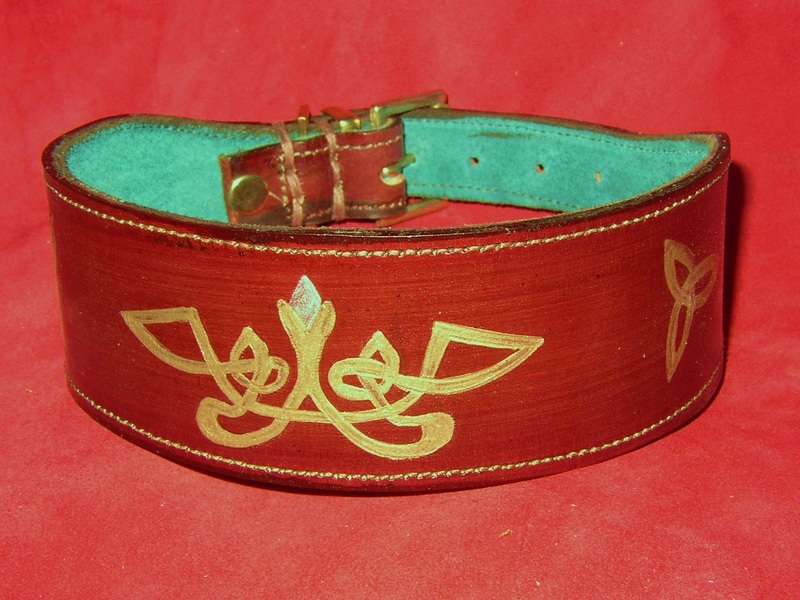 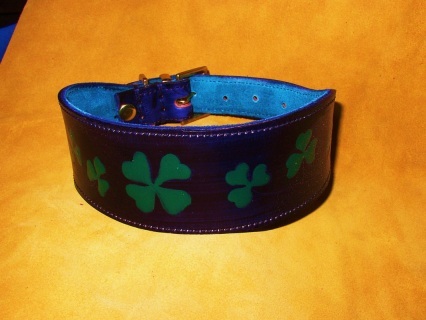 Hand made quality leather fancy hound collars lined with suede direct from our workshop. 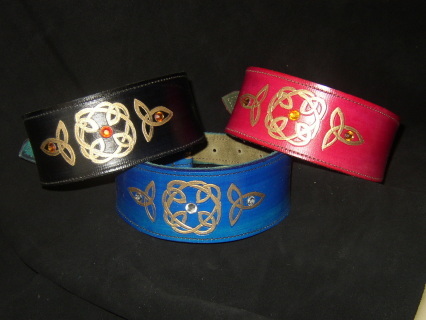 All of the patterns are available in Black, Brown, Red, Blue, Purple or Green. 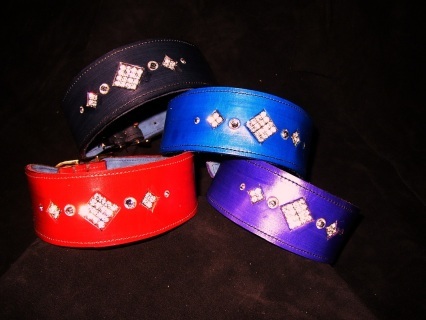 The crystal colours available are red, blue, green, golden yellow , purple or a clear diamond colour - just state on the order form which combination you would like. 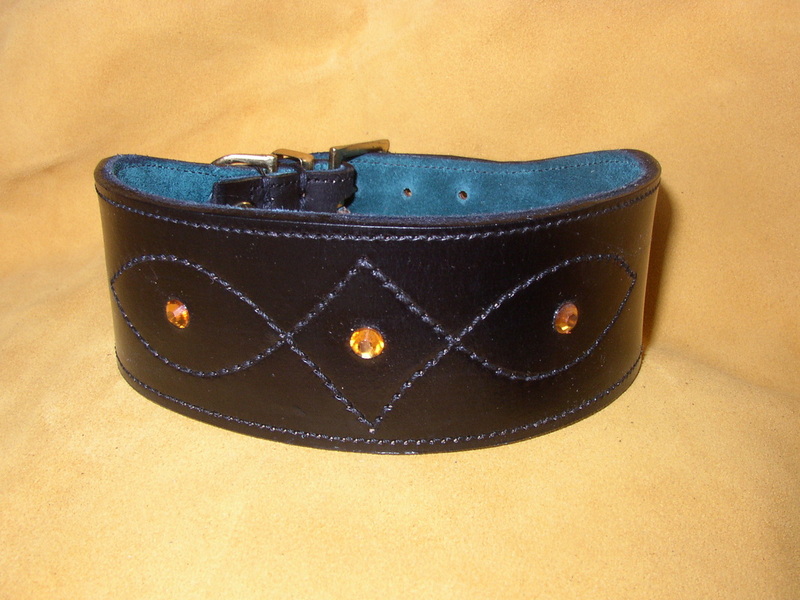 The collar has this measurement to the centre hole on the tongue so allows about 1.5" ( 4 cm) either way for any necessary adjustments. 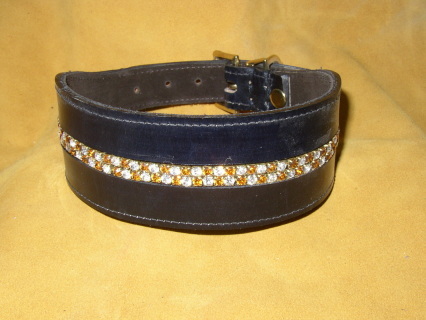 To find the measurement required please measure on a collar which fits to your satisfaction from the edge of the buckle to the hole that fits, or put a piece of string round the dog's neck and adjust until it sits as you wish and then measure. Also tell me what age and breed type the dog is, if possible, so that growing room can be allowed for if necessary. 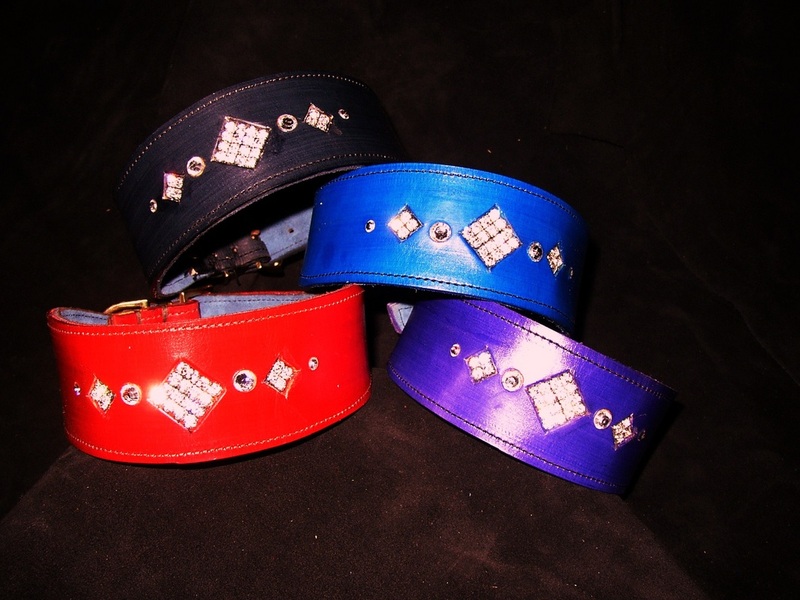 All the collars are made of quality vegetable tanned leather with a suede lining stitched inside and taken through the cast metal buckle and dee ring to provide a lasting, strong collar that can be used everyday. 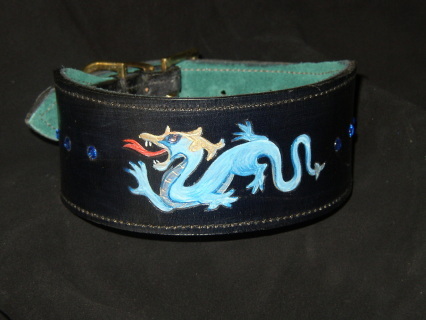 We still have people with collars in use that were bought over 15 years ago, so have confidence in their lasting ability! Here is our current wide range of designs - still as practical and elegant as ever ! 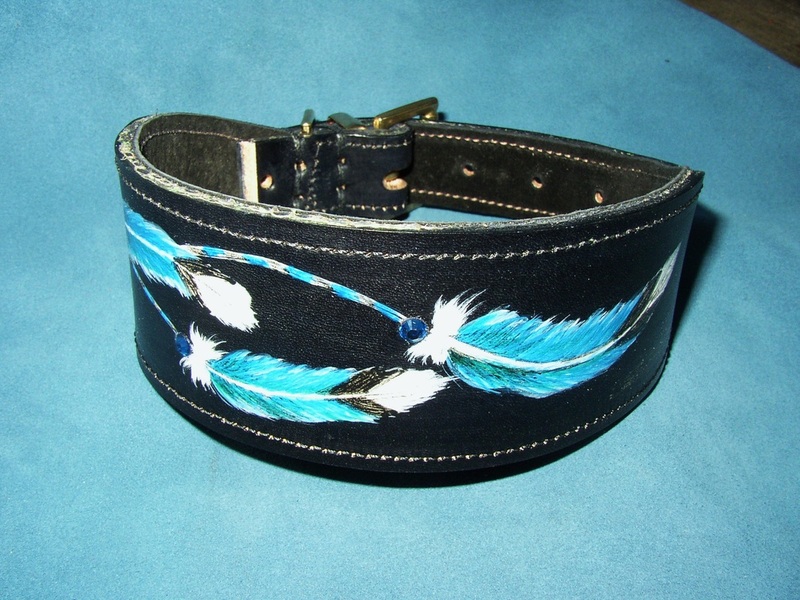 And don't forget to order a tassle to match - a lovely finishing touch ! 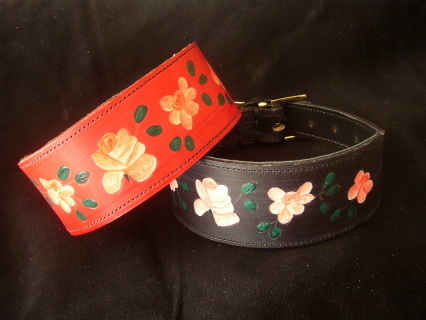 Lovely Roses round the Collar in all of the colours, but the red and black are especially stunning !